There is no question that there are plenty of great launchers out there for Android users. 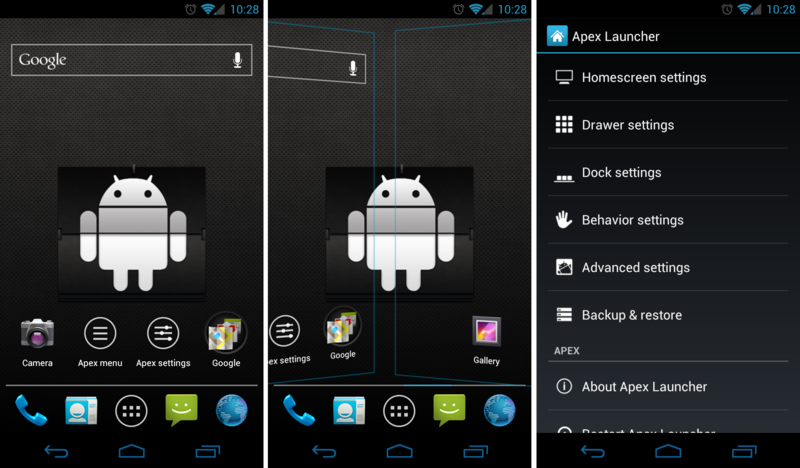 But it seems that every time we post about Nova Launcher that was built specifically for Ice Cream Sandwich devices, there is someone that brings up the Apex Launcher. So we have checked it out and can now see why so many people were bringing it up. With even more customization options than Nova has at the moment, then there was no way we weren’t going to recommend this launcher. Install as you would any other 3rd-party application.